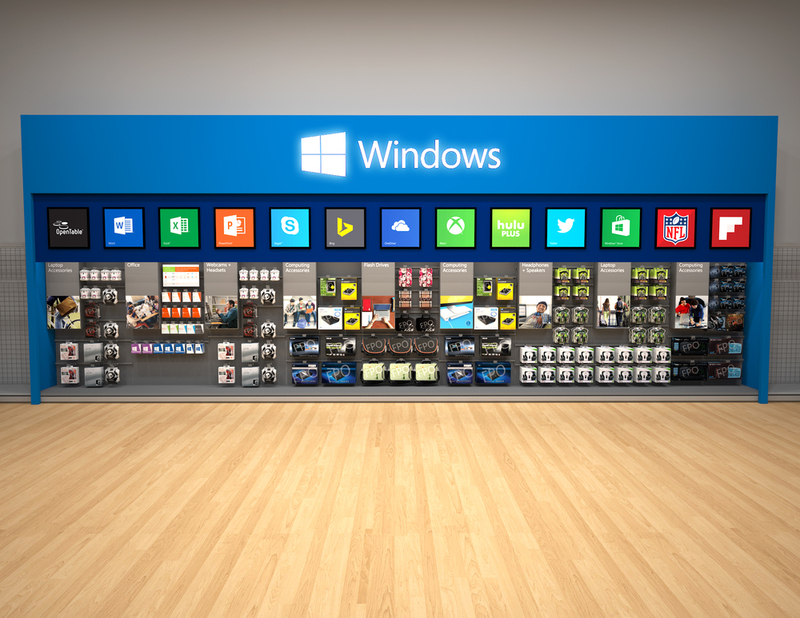 Windows’ presence at 24 Best Buy stores in the Chicagoland area. multiple rounds of design on various version and concepts and creating final concept renderings for production. The overall floorplan scaled depending upon the store size and was 2,000ft² in its largest installation. multiple illuminated app tiles and wall bays for a multitude of 3rd party accessories. of full scale prototypes of all the main fixtures, including the marquee 36-foot back wall.